Outside the Western world, Russia’s ultra-agile Su-35 is the most potent fighter in operational service. 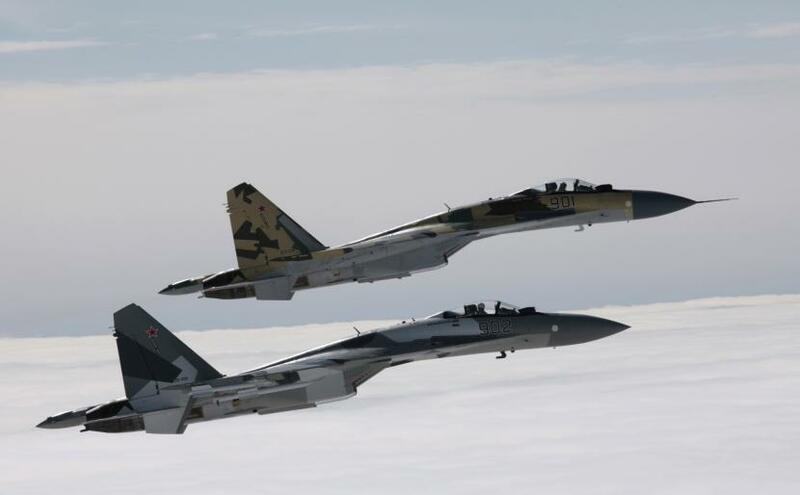 We asked Justin Bronk from the Royal United Services Institute (RUSI) think-tank his thoughts on the Su-35’s combat effectiveness against the Typhoon the backbone of NATO’s fighter force. We also look at how the Su-35 would fare against the US F-15, F-16 and F-22. HK: What is the current status of the Russian Su-35 fleet? The Su-35 has a significantly greater Radar Cross Section (RCS) than Typhoon due to its large intakes without effective fan-blade shielding, vertical dual stabilizers and thrust vectoring jet nozzles, as well as the latter’s greater use of radar absorbent materials and signature management for canards. The Su-35’s larger size and the canted position of the engines and greater thrust required also contribute to a heat signature that is significantly greater than Typhoon’s. In terms of radars, the Su-35S’s Irbis-E PESA radar provides extremely high power levels allowing target detection beyond 300km (although without weapons which can engage at this range), as well as claimed advances in detecting low-observable threats such as stealth fighters at significantly beyond visual range. However, the downside to this is that the Irbis-E has to operate at extremely high power levels to achieve this performance and so is easily detectable and track-able at ranges beyond those at which it can track. All radars except AESAs with very low probabilities of intercept such as the F-22’s APG-79 suffer from this paradox but it is worse for the Su-35 because of the latter’s very large RCS and IR signature which means it must rely on out-ranging its opponents at BVR rather than trying to sneak up on them whilst relying on passive tracking. Typhoon’s CAPTOR-M is comparable with the Irbis-E in terms of long range tracking and detection in active scanning mode and may be inferior with regard to detecting low-observable threats, but Typhoon has a very significant advantage in terms of passive tracking through the DASS and the world-leading PIRATE IRST. Both aircraft are capable of super-cruising although the Typhoon’s speed without afterburners at combat loading is significantly higher than the Su-35*. Top speeds at low and high altitudes are comparable, but again Typhoon has the slight edge. In terms of kinematic persistence, the Su-35 burns much more more fuel to sustain energy than Typhoon, but also carries twice as much fully loaded. In prolonged engagements, the Typhoon has better combat persistence during sustained afterburner-dependent manoeuvres and also retains energy better at during high-g turns. This would tend to put the Su-35 at an increasing energy disadvantage over time, even as its thrust-to-weight ratio improves towards parity with Typhoon as it burns off fuel. During a BVR engagement at high altitudes, assuming both aircraft have detected each other, the Su-35 is likely to be at a significant energy disadvantage as Typhoon would be flying at its higher service ceiling at faster supercruise speeds. WVR, however, the Su-35 is extremely dangerous due to its phenomenal supermanoeuvrability due to its thrust vectoring engines and huge lifting body. Both in the horizontal and vertical planes, Typhoon would likely be outmatched by the Su-35 WVR, unless a Typhoon pilot could find space to accelerate vertically to gain an energy advantage without being shot down in the process. In reality, of course, whilst in a WVR dogfight situation the Su-35 does have a kinematic advantage, both aircraft are equipped with helmet-mounted sights to cue off-boresight missile shots and carry extremely manoeuvrable IR missiles with excellent countermeasure resistance. Neither is likely to survive a WVR ‘merge’ against the other. *HK: The Typhoon’s maximum quoted supercruise speed has varied. EADS test pilot Chris Worning put it at M1.15-M1.2, the RAF have stated M1.1 and Typhoon pilots have suggested 1.2-3 with four conformal AMRAAMS, twin tanks and twin ASRAAMs, and 1.5 clean. The Su-35’s supercruise is marginal, probably no higher than M1.1 – it is much draggier design than the Typhoon. Su-35 is bigger, heavier and more mechanically temperamental than Typhoon. However, it does not have such a dependence on software and computers which can cause many issues of their own in the case of Typhoon. If deployed as part of a large unified fleet by a Western air force, Su-35 could probably approach Typhoon’s reliability rate and surpass it in terms of ease of maintenance. However, the fact that Su-35 exists within a patchily resourced Russian Air Force with a myriad of different fighter types means it comes substantially below Typhoon in terms of reliability. Russian EW capabilities tend to be superb. However, their defensive aids suites often lag behind their Western competitors. In the case of Su-35 and Typhoon specifically, both have some of the best DAS and EW capabilities which their respective nations can mount in frontline jets, but the exact details are highly classified. It is probably fair to assume that Typhoon has the edge in terms of defensive aids and passive ELINT gathering, whilst Su-35 has the edge in offensive EW and jamming capabilities. This is an area where Russian jets have always struggled. Even with multifunction cockpit displays and digital flight instruments, the Su-35 lags behind Typhoon in terms of ease of flying and fighting with it as a weapons system. Lack of Russian Air Force standardisation means that Typhoon wins hands down with latest generation Link 16, MIDS and other connectivity advantages. However, Russian tactical doctrine may mean that this disadvantage is less of an issue for them than it would be for a Western Air Force. Su-35 benefits from superb Russian missile design expertise. The multiple seeker-head mix which Russian fighters would fire in missile salvos in combat with Western fighters makes defending against them a very complicated task. At long range, the Su-35 can fire a mix of semi-active radar homing, anti-radiation (home on jam) and IR homing missiles, whilst at short range the Adder series remains as deadly as ever. Typhoon has the excellent ASRAAM and IRIS-T short range IR missiles which can equal or surpass their Russian counterparts, but at long range the AMRAAM is showing its age and against Digital Radio Frequency Memory (DRFM) jamming technology which the Su-35S employs, it’s Pk drops significantly to the point that multiple missiles would likely be required to kill each target. Which set-ups would favour which aircraft? 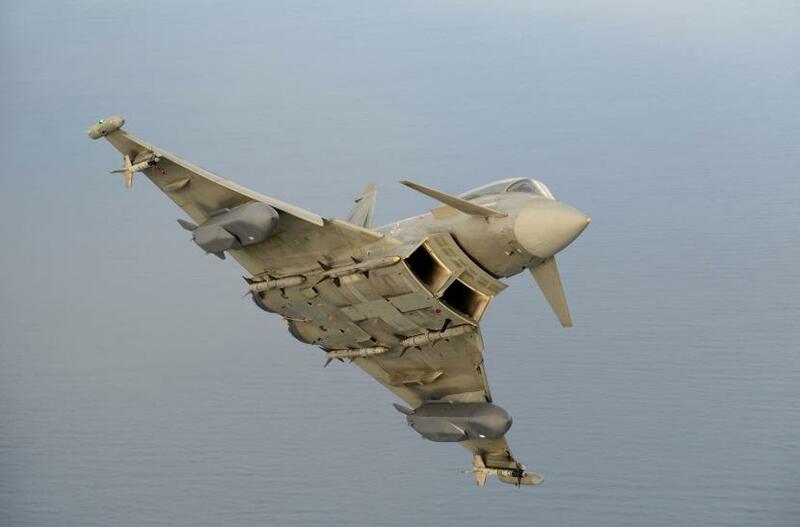 High and fast in BVR combat and rules of engagement which allow long range missile shots would favour Typhoon, especially once Meteor is fully integrated next year. WVR combat, especially at lower altitudes and speeds favour the Su-35. 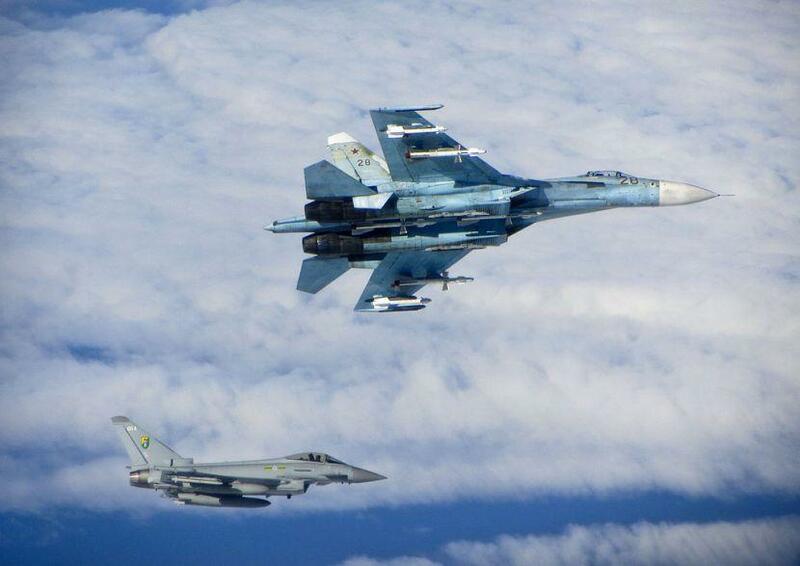 During a sudden incident as part of, say Baltic Air Policing, where both aircraft would typically be at medium altitude and at close range during QRA intercepts, Su-35S would likely be a real handful for Typhoon. Which aircraft, all things being equal, would have an advantage? I would certainly still take a Typhoon going into a hypothetical ‘all things equal’ scenario, because of its superior kinematics at high altitudes and speeds which allow it to have control of an engagement except in specific scenarios. Are there tactics which would enable a Su-35 force to take on a F-22 formation? Simply put – no. Whilst the Su-35 does have the hypothetical capability to detect the F-22 at close ranges using its IRST and potentially the Irbis-E radar, both sensors would have to be cued to focus on exactly the right part of sky to have a chance of generating a target track. By contrast, the F-22 will know exactly where the Su-35 is at extremely long range and can position for complete control of the engagement from the outset with superior kinematics. 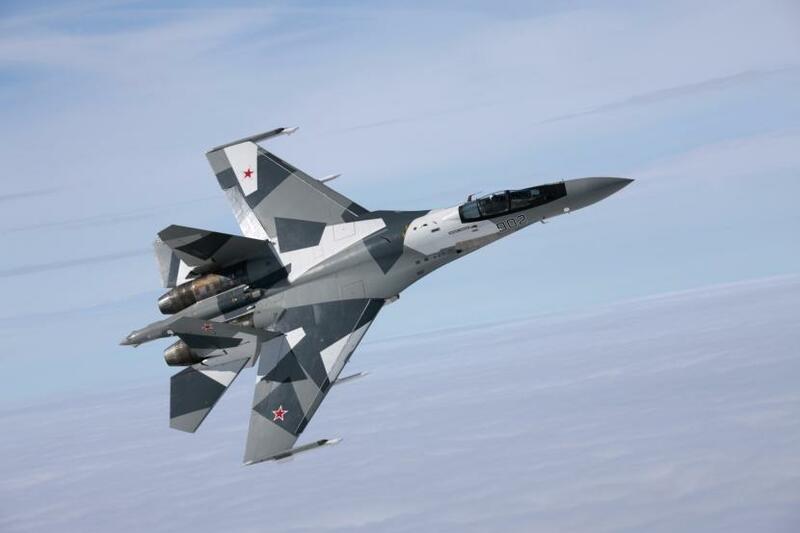 The Su-35’s only chance would be to absorb the AMRAAM and AIM-9 shots from the F-22’s and hope that they had sufficient numbers left to attack the tankers and airbases which the F-22’s rely on post-engagement. The Su-35 can probably out-turn an F-22 in a horizontal fight at medium and low altitudes, but the need to carry missiles and tanks externally to be effective, as well as the brute size of the Sukhoi will ensure it remains at a distinct energy disadvantage to the Raptor in terms of energy retention and acceleration at all speeds. 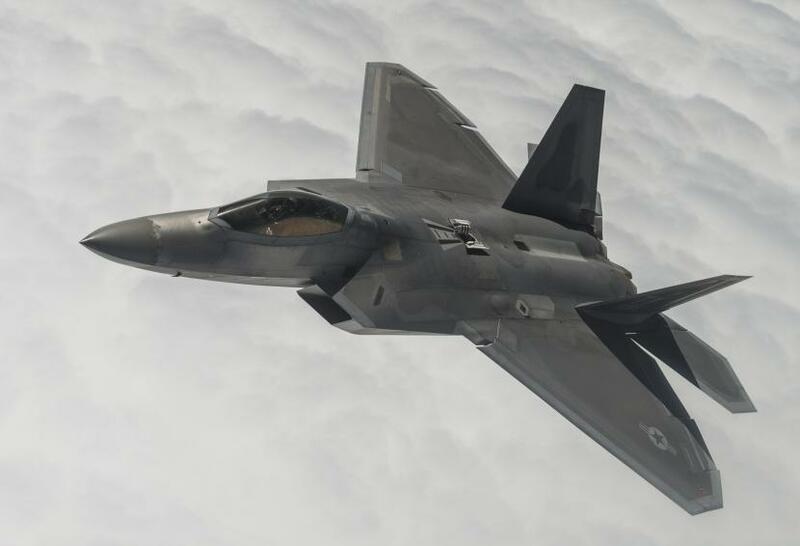 The F-22 also will not get into an angles fight with an Sukhoi – there is simply no need for it to do so. How do they compare in terms of BVR engagements? BVR engagements are all about situational awareness, positioning/energy advantage, and persistence in terms of fuel and missiles. In all but the latter category the Su-35 is hopelessly outclassed by the F-22 (as are all other operational fighter aircraft). Even in terms of missiles, the Su-35 can carry up to twelve to the F-22’s eight but combat practice, especially against stealthy targets, involves firing salvos of six missiles with mixed seekers so the Su-35 only really has two credible shots. By contrast the F-22 can get much closer without being threatened so even against the Su-35S DRFM jammers, it can fire smaller salvos with much better Pk. How would USAF F-15Cs and F-16Cs fair against the Su-35? The USAF’s classic F-15C is slightly outclassed by the Su-35, although with upgrades along the lines of the Saudi F-15SA configuration, with a very powerful AN/APG-63(V)3 AESA radar and double the missile loadout of the classic F-15C, they are approaching parity again – albeit with a much heavier focus on BVR capabilities than WVR manoeuvrability than the Sukhoi. The F-15C (modernised), teamed with the F-22 fleet, can certainly remain a match for the Su-35S. By contrast, the F-16 Block 50/52 fleet is certainly not capable of meeting the Su-35S on anything like equal terms – losing out to the Russian fighter in kinematics, sensors, weapons loadout and EW capabilities. And against the Saab Gripen and Dassault Rafale? Gripen is a bit of an unknown quantity against modern air superiority machines because it takes a fundamentally different approach to survivability. Whilst in traditional DCT exercises, Typhoon pilots have often referred to the Gripen as ‘cannon-fodder’ due to its inferior thrust-to-weight ratio, speed, agility and armament, in the few cases where the Gripen has ‘come to play’ with its full electronic warfare capabilities, it has given Typhoons very nasty shocks. Against the Su-35S, Gripen would rely on the cutting edge EW capabilities which Saab builds the Gripen (especially the new E/F) around to hide the aircraft from the sensors of the Russian jets in much the same way as the Raptor relies on x-band stealth. These EW capabilities are so highly classified that there is simply no way to assess their effectiveness in the public domain. Having said that, RAF pilots who I have talked to with experience of the Saab fighter’s EW teeth first hand say that the ability of the aircraft to get alarmingly close without detection thanks entirely to EW is very impressive. Rafale is in a similar position as Typhoon relative to Su-35, but with less of a kinematic advantage over the Su-35 at high altitudes and BVR ranges, and being closer to parity on manoeuvrability at medium and low altitudes than Typhoon. Equally, the excellent SPECTRA system on Rafale would give it more offensive and defensive options in the EW space against Su-35 than Typhoon would have. What do you expect the future holds for the Su-35, in terms of upgrades and production figures? I expect that following the second order of 48 being delivered to the Russian Air Force by 2020, further orders will come in in dribs and drabs whilst the PAK FA/T-50 continues to be refined. Upgrades here and there will no doubt be added but I don’t anticipate any fundamental improvements – the Su-35S really is the pinnacle of the Flanker line. What should I have asked you about the Su-35? Haha, is it good value for money? Not withstanding what I’ve said about the various ways in which top-of-the-line and extremely expensive Western fighters such as the F-22, Typhoon (and Rafale which we haven’t really touched on) have answers to the Su-35, for its price tag of around $65M very little comes close! Justin Bronk is a Research Fellow at the Military Sciences at Royal United Services Institute. He has written articles on the RAF’s role in Syria, and the Rafale versus Typhoon. Interesting things to read, especially the details re Gripen´s capabilities. ….and some really neat photos as well. Thanks for this one Rob – very interesting! Highly informative!!! Tha ks Rob. Great article. Thanks for posting it.